Your business' professional image is everything. This is why you invest a great deal of time and effort to make sure that you portray the kind of image that is attractive to both your employees and your clients. At All Brite Painting Contractors, Inc. We can help you build the perfect setting for your office or retail space, by creating innovative paint designs that are both stylish and perfectly suited to match your personal style and taste. We specialize in commercial painting for all businesses in the Deerfield area both large and small. As a business owner you always have to stay on top of your game. This means having the right look. With that in mind, here are some instant benefits of a new paint job from All Brite Painting Contractors. Instant Appeal - When potential customers drive by or walk in, they will always notice how much you have invested in your building both inside and out. Resale Value - Getting ready to sell your business and move up town? A paint job will instantly add value to your property. Business Protection - A new paint job on both your business interior and exterior will provide ultimate protection for your walls. Time to Rejuvenate - Nothing tells your clients that your business is growing quite like a renovation! This instills confidents in both your customers and your staff and gives you're a whole new marketing edge. The experienced team at All Brite Painting Contractors is dedicated to providing you with quality painting products that revitalize every room in your business to your exact specifications. With that in mind, we spend time with each of our clients carefully planning out each project. We listen to your ideas and focus on turning your vision into a reality. This is why we follow a step-by-step process and carefully communicate with you through every phase, from initial concepts and design, to delivery of all products, and finally paint application and finish. From start to finish we communicate with you so that there are no surprises and no guesswork. This guarantees your absolute satisfaction every time. Painting your business interior or exterior is a major investment that you, your staff, and your customers will appreciate for many years to come. So it's important to get it right the first time. Since 1999, our family owned and operated company has built a reputation of providing the highest level of customer service and industry leading paint products that are durable, stain-resistant, and fade resistant. 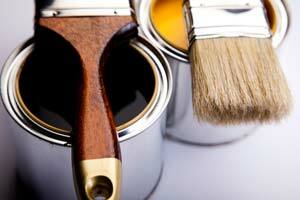 Our entire team of painters is experienced, certified, licensed, and highly trained. We can tackle can paint job large, small, simple, or complex. We work hard to earn your business and your trust. If you are looking for a Deerfield Beach commercial painting professional then please call 954-707-6348 or complete our online request form.